This Mochet is a little sportier than the commercial Camionette we featured a month or two ago. It uses a single-cylinder engine of 125cc making a paltry 3.5 horsepower. The car is actually a little bigger than it looks, at almost eight feet long. 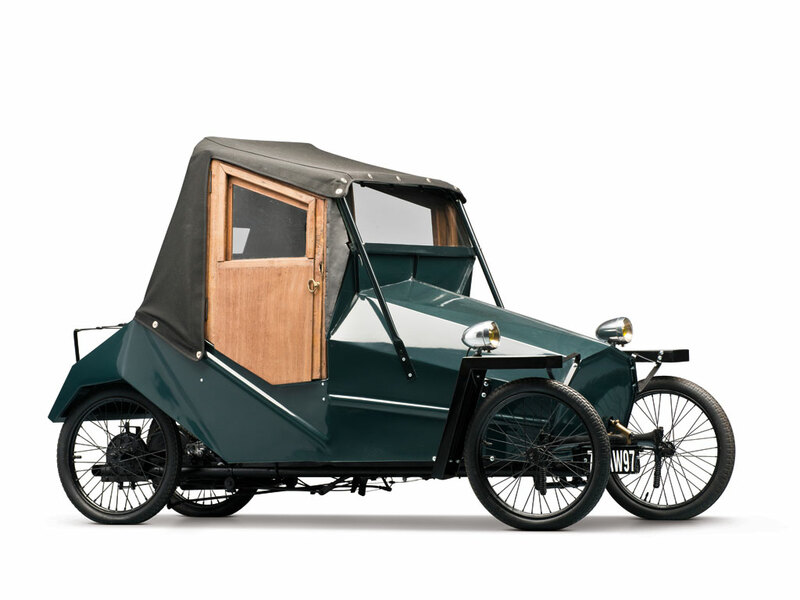 This was the first Mochet cyclecar not to actually be fitted with pedals (what progress!). Everything else was still crude – no front suspension and an external handbrake to slow the rear wheels. And everything comes together at some kind of sharp angle. Only 650 were built. There are two in this sale, this being the nicer. It should sell for between $30,000-$40,000. Click here for more info. This entry was posted in Uncategorized and tagged 1947, auctions, cars, classic cars, microcars, mochet, rm auctions, type k by classiccarweekly. Bookmark the permalink.